International Practice Theory, 2nd substantially revised edition, Basingstoke: Palgrave MacMillan, 2018 (co-authored with Frank Gadinger), doi: 10.1007/978-3-319-73350-0. International Practice Theory: New Perspectives, Basingstoke: Palgrave MacMillan, 2014 (co-authored with Frank Gadinger). Conceptualising International Practices, edited volume, co-edited with Alena Drieschova and Ted Hopf, in progress. Security Expertise: Practices, Power and Responsibility, London: Routledge PRIO New Security Studies Series, 2015, (co-edited with Trine Villumsen Berling). Includes contributions by Robert Evans, Gil Eyal, Tom Osborne, Ole Waever, James McGann, Judith Reppy, Saul Halfon, Lisa Stampnitzky, Hugh Gusterson, Richard Jackson, and Piki Ish Shalom. The Global Fight Against Piracy, Special Section of Global Policy 4(1), 2013. With contributions by Douglas Guilfoyle, Sarah Percy and Anja Shortland, Basil Germond, and Axel Klein. Territory, Authority, Expertise: Global Governance and the Counter-Piracy Assemblage, European Journal of International Relations, 24(3), 614-637, 2018, doi: 10.1177/1354066117725155. Performing piracy: A note on the multiplicity of agency, Journal of International Relations and Development, online first 2017 doi: 10.1057/s41268-017-0122-0. How Do Small Island States Maximize Influence? Creole Diplomacy and the Smart State Foreign Policy of the Seychelles, Journal of the Indian Ocean Region, 14(2): 170-188, 2018 (with Anders Wivel), doi: 10.1080/19480881.2018.1471122. 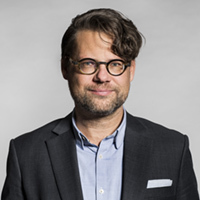 Expertise in the Age of Post-Factual Politics: An Outline of Reflexive Strategies, GeoForum 84: 332-341, 2017 (co-authored with Trine Villumsen Berling), doi: 10.1016/j.geoforum.2017.05.008. Poachers and Pirates: Improving coordination of the global response to wildlife crime, South African Crime Quarterly 60: 29-36, 2017 (co-authored with Olga Biegus), doi: 10.17159/2413-3108/2017/v0n60a1724, [open access]. Pirates, Drugs and Navies. Why the Western Indian Ocean needs a new security architecture, RUSI Journal 161(5): 46-52, 2016 (co-authored with Jan Stockbruegger), doi: 10.1080/03071847.2016.1253375, [open access]. Doing Europe: Agency and the European Union in the field of counter-piracy practice, European Security 25(4): 407-422, 2016, doi: 10.1080/09662839.2016.1236020, [open access]. The Play of International Practice, International Studies Quarterly 59(3): 449-460, 2015 (co-authored with Frank Gadinger), doi: 10.1111/isqu.12202, [open access]. From Dusk to Dawn? Maritime Domain Awareness in Southeast Asia, Contemporary Southeast Asia 17(2): 157-182, 2015, doi: 10.1355/cs37-2a, [open access]. Learning from Piracy: Future Challenges of Maritime Security Governance, Global Affairs 1(1): 33-42, 2015, doi: 10.1080/23340460.2015.960170, [open access]. Pathways to Practice. Praxiography and International Politics, European Political Science Review 6(3): 383-406, 2014, doi: 10.1017/S1755773913000167, [open access]. Piracy Studies – Academic Responses to the Return of an Ancient Menace, Cooperation and Conflict 49(3): 406-416, 2014, doi: 10.1177/0010836713484117. Actor-Networking the Failed State – An Enquiry into the Life of Concepts, Journal of International Relations and Development, 17(1): 30-60, 2014 (co-authored with Felix Bethke), doi: 10.1057/jird.2012.30. Communities of Security Practice at Work? The Emerging African Maritime Security Regime, African Security 6(3-4), 297-316, 2013, doi: 10.1080/19392206.2013.853579, [open access]. Practice, Pirates and Coastguards: The Grand Narrative of Somali Piracy, Third World Quarterly 34(10), 1811-1827, 2013, doi: 10.1080/01436597.2013.851896, [open access]. Actor-Network Theory, Methodology, and International Organization, International Political Sociology 7(3) Forum on “Actor-Network Theory” and International Relationality: Lost (and Found) in Translation, edited by William Walters and Jaqueline Best, 338-342, 2013, doi: 10.1111/ips.12026_3. Counter-Piracy, Communities of Practice and New Security Alignments, Journal of Regional Security 8(3), 49-62, 2013, doi: 10.11643/issn.2217-995X122SPZ21. Orchestrating the Response: Somali Piracy and Ontological Complexity, Global Policy 4(1), 86-93, 2013, doi: 10.1111/j.1758-5899.2012.00194.x. Practical Reflexivity and Political Science: Strategies for Relating Scholarship and Political Practice, PS: Political Science & Politics 46(1), 115-119, 2013 (co-authored with Trine Villumsen Berling), doi: 10.1017/S1049096512001278. Drops in the Bucket: A Review of Onshore Responses to Somali Piracy, WMU Journal of Maritime Affairs 15(1) Special Issue on ‘Piracy at Sea’, edited by Sam P. Menefee and Max Meija, 15-31, 2012, doi: 10.1007/s13437-012-0022-5. From Epistemology to Practice: A Sociology of Science for International Relations, Journal of International Relations and Development 15 (1), 97-109. 2012, doi: 10.1057/jird.2011.28. Pirates, Fishermen and Peacebuilding – Options for Counter-Piracy Strategy in Somalia, Contemporary Security Policy 32 (2), 356-381. 2011 (co-authored with Jan Stockbruegger and Sascha Werthes), doi: 10.1080/13523260.2011.590359. The Clash of Practice: Political Controversy and the United Nations Peacebuilding Commission, Evidence and Policy 7 (2) Special Issue on The Practice of Policymaking, edited by Richard Freeman, Steven Griggs and Annette Boaz, 171-191. 2011, doi: 10.1332/174426411X579216. Beyond the Gap: Relevance, Fields of Practice and the Securitizing Consequences of (Democratic Peace) Research. Journal of International Relations and Development 10(4), 417-448. 2007 (co-authored with Trine Villumsen), doi: 10.1057/palgrave.jird.1800136. Reassembling and Dissecting: International Relations Practice from a Science Studies Perspective. International Studies Perspectives 8 (1), 90-110. 2007 (co-authored with Frank Gadinger), doi: 10.1111/j.1528-3585.2007.00271.x. Critical Approaches to Security in Europe. A Networked Manifesto. Security Dialogue 37 (4), 443-487. 2006. (co-authored with 25 colleagues, published as c.a.s.e. collective), doi: 10.1177/0967010606073085. Praxiography, in “Sage Encyclopaedia of Social Research Methods”, edited by Sara Delamont, Paul Atkinson, Malcolm Williams, and Melissa Hardy, SAGE, forthcoming 2019. Conducting Field research when there is no ‘field’. A note on the praxiographic challenge. in “The Political Anthropology of Internationalized Politics”, edited by Sarah Biecker and Klaus Schlichte, forthcoming 2019. Experts in an Adventure with Pirates: A Story of Somali Piracy Expertise, in “Assembling Exclusive Expertise: Conflict Resolution Knowledge in Practice“, edited by Anna Leander and Ole Wæver, London: Routledge, 40-56, 2018. From Community to Practice: International Relations as a Practical Configuration, in “The SAGE Handbook of the History, Philosophy and Sociology of International Relations”, edited by Andreas Gofas, Inanna Hamati-Ataya, and Nicholas Onuf, London: Sage, 359-371, 2018 (with Frank Gadinger). Actor-Network Theory: Objects and Actants, Networks and Narratives, in “Technology and World Politics: An Introduction”, edited by Daniel R. McCarthy, Abingdon: Routledge, 42-59, 2017 (co-authored with Jan Stockbruegger) [pre-print]. Practice, in “Handbook of International Political Sociology”, edited by Xavier Guillaume, and Pınar Bilgin, London: Routledge, 324-334, 2017.
International Practice Theories, in “Praxeological Political Analysis”, edited by Michael Jonas, Lorenz Lassnigg, Beate Littig and Angela Wroblewski, Basingstoke: Palgrave MacMillan, 87-106, 2016 (co-authored with Frank Gadinger). Security as Practice, in “Handbook of Security Studies“, 2nd. ed., edited by Thierry Balzacq & Myriam Dunn Cavelty, London: Routledge, 126-135, 2016 [pre-print]. John Dewey, in “The Return of the Theorists. Dialogues with Great Thinkers in International Relations“, edited by Richard Ned Lebow, Peer Schouten & Hidemi Suganami, Basingstoke: Palgrave Macmillan, 164-172, 2016 (co-authored with Peer Schouten). Security Expertise: An Introduction, in “Security Expertise: Practices, Power and Responsibility”, edited by Trine Villumsen Berling and Christian Bueger. Abingdon: Routledge, 1-18, 2015 (co-authored with Trine Villumsen Berling). From Expert Communities to Epistemic Arrangements: Situating Expertise in International Relations, in “International Relations and the Global Politics of Science and Technology“, edited by Maximilian Mayer, Mariana Carpes, and Ruth Knoblich, Wiesbaden: Springer VS, 39-54, 2014, doi: 10.1007/978-3-642-55007-2_2. Narrative Praxiographie: Klandestine Praktiken und das Grand Narrativ Somalischer Piraterie [Narrative Praxiography: The Grand Narrative of Somali Piracy], in “Politische Narrative [Political Narratives]”, edited by Fank Gadinger, Sebastian Jarzebski, and Taylan Yildiz, Wiesbaden: Springer VS., 201-223, 2014, doi: 10.1007/978-3-658-02581-6_8. Thinking Assemblages Methodological: Some rules of thumb, in Re-Assembling International Theory. Assemblage Thinking and International Relations, edited by Michele Acuto and Simon Curtis, Palgrave MacMillan, 60-68, 2014, doi: 10.1057/9781137383969. Die Formalisierung der Informalität. Praxistheoretische Überlegungen‘ [The Formalization of Informality. Practice-theoretical Considerations], in “Informelle Politik – Konzepte, Akteure und Prozesse [Informal Politics. Concepts, Actors & Processes]”, edited by Timo Grunden and Stephan Bröchler, 81-98, 2013 (co-authored with Frank Gadinger), doi: 10.1007/978-3-658-02380-5_4. Responses to Contemporary Piracy: Disentangling the Organizational Field, in “Modern Piracy: Legal Challenges and Responses”, edited by Douglas Guilfoyle, Cheltenham: Edward Elgar, 91-114, 2013, doi: 10.4337/9781849804936.00012. Theorien der Maritimen Sicherheit: Versicherheitlichungstheorie und sicherheitspolitische Praxeographie [Theories of Maritime Security: Securitization and Praxiography], in “Maritime Sicherheit [Maritime security]” edited by Sebastian Bruns, Kerstin Petretto und David Petrovic, Wiesbaden: Springer VS, 25-36, 2013, doi: 10.1007/978-3-531-19068-6_3, [review]. Security Communities, Alliances and Macro-securitization: The Practices of Counter-Piracy Governance, in “Maritime Piracy and the Construction of Global Governance“, edited by Michael J. Struett, Mark T. Nance and Jon D. Carlson, London: Routledge, 99-124, 2013 (co-authored with Jan Stockbruegger), [review]. Sozialwissenschaften in der globalen Politik – Der Fall der Friedensschaffungspolitik der Vereinten Nationen. [Social Science in Global Politics – The case of peacebuilding politics at the United Nations], in “Wissen, Wissenschaft und Global Commons. Konturen eines interdisziplinären Forschungsfeldes [Knowledge, Science and Global Commons. Contours of an interdisciplinary field of research]”, edited by Melanie Morisse-Schilbach and Jost Halfmann, Baden-Baden: Nomos, 295-316, 2012, doi: 10.5771/9783845239323]. Große Gräben, Brücken, Elfenbeintürme und Klöster? Die ‚Wissensgemeinschaft Internationale Beziehungen’ und die Politik – Eine kulturtheoretische Neubeschreibung. [Gaps, Bridges, Ivory Towers and Monasteries? The Knowledge Community International Relations and Politics – Towards a Cultural Vocabulary] In “Forschung und Beratung in der Wissensgesellschaft [Research and Advice in the Knowledge Society]”, edited by Gunther Hellmann. Baden-Baden: Nomos, 149-188, 2007 (co-authored with Frank Gadinger). Das Auswärtige Amt auf dem Weg zu einer neuen Beratungskultur? Der Dialog zwischen externem Fachwissen und Politik im Feld der Außenpolitik. [Is the Ministry of Foreign Affairs on its Way to a new Advisory Culture? On the Dialogue between Expertise and Politics in Foreign Policy] In “Handbuch Politikberatung [Handbook on Policy Advice]”, edited by Svenja Falk, Dieter Rehfeld, Andrea Römmele and Martin Thunert. Opladen/Wiesbaden: VS Verlag für Sozialwissenschaften, 509-522, 2006, doi: 10.1007/978-3-531-90052-0_46. The used key is always bright? Zu den Folgen der Verwendung sozialwissenschaftlichen Wissens in der Außenpolitik: Der Fall des “Demokratischen Friedens” [The Consequences of Using Social Science Knowledge in Foreign Policy: The Case of Democratic Peace]. In “Diskurse der Gewalt – Gewalt der Diskurse”, edited by Michael Schultze, Jörg Meyer, Britta Krause and Dietmar Fricke. Frankfurt et al. : Peter Lang. 179-194, 2005. Mastering Maritime Security. Reflexive Capacity Building and the Western Indian Ocean Experience. 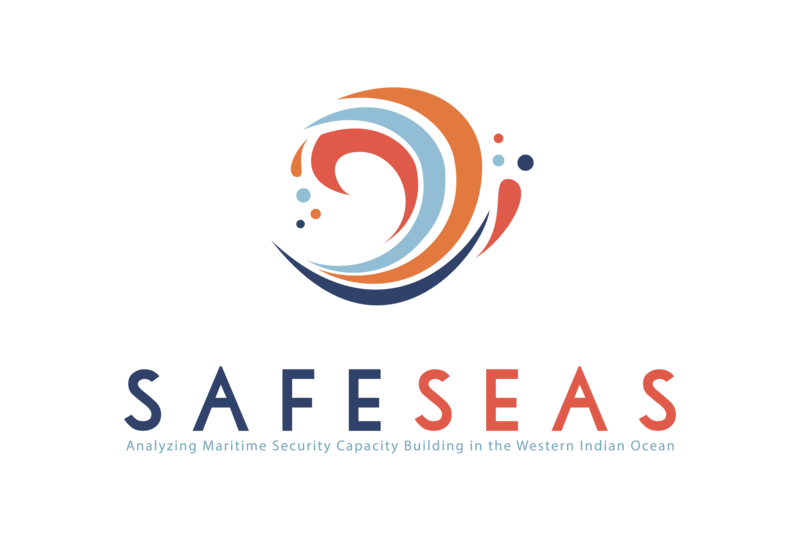 A best practice toolkit, Cardiff: SafeSeas (co-authored with Timothy Edmunds), February 2018, doi: 10.5281/zenodo.1157961. “We are all islanders now”. Michel’s Blue Economy kaleidoscope and the missing link to maritime security, Journal of the Indian Ocean Region 14(1): 117-119, 2018, doi: 10.1080/19480881.2017.1317500. Practices, Norms and the Theory of Contestation. Polity 49(1), 2017, doi: 10.1086/689977. Editorial and Mission Statement. 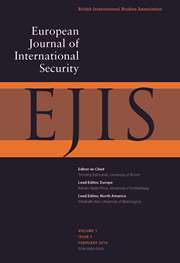 European Journal of International Security 1(1): 1-4, 2016 (with Tim Edmunds, David Galbreath, Adrian Hyde-Price, Elizabeth Kier, Anthony King, Jutta Weldes), doi: 10.1017/eis.2016.3. Family Issues: Plurality and Methodology in International Practice Theory, International Studies Quarterly Blog, December 2015, http://www.isanet.org/Publications/ISQ/Posts/ID/4962/Family-Issues-Plurality-and-Methodology-in-International-Practice-Theory (with Frank Gadinger). Book review of ‘Small Navies. Strategy and Policy for Small Navies in War and Peace, edited by Michael Mulqueen, Deborah Sanders and Ian Speller’, in International Affairs 91(4), 13-15, 2015. The Rise of Informal Governance. Complementing or Challenging the UN system? MUN Planet, 25.4.2015, available at http://www.munplanet.com/articles/fridays-with-munplanet/the-rise-of-informal-governance-complementing-or-challenging-the-un-system. After Piracy: Towards an African Maritime Security Architecture, in Towards Good Order at Sea: African Experiences, edited by Francois Vrey and Thomas Mandrup, Stellenbosch: SUN Media Press, 35-50, 2015. Book review of ‘The Anarchic Sea. Maritime Security in the 21st Century, by David Sloggett’ & ‘International Maritime Security Law, by James Kraska and Raul Pedrezo’, in International Affairs 90(6): 1464-1465, 2014. The Global Fight Against Piracy, Introduction to Special Section of Global Policy 4(1): 63-64, 2013. doi: 10.1111/1758-5899.12028. Art, Methodology and the Practice of Designing (Interpretive) Research, Qualitative & Multi-Method Research 10(2): 12-14, 2012. From Economic to Humanitarian Concerns: Counter-Piracy, Paradigms and Campaigning for Support, In The Human Face of Marine Piracy. Consequences and Policy Options, edited by David N. Griffiths, Islamabad: Fazaldad Institute of Human Rights, 155-170, 2012, available at http://www.fazaldad.com/book/book.pdf. Finding a Regional Solution to Piracy: Is the Djibouti Process the Answer? Piracy-Studies.org Blog, August 2012, http://piracy-studies.org/2012/finding-a-regional-solution-to-piracy-is-the-djibouti-process-the-answer/ (with Mohanvir Singh Saran). Book Review of Oren, Ido 2003. Our Enemies & Us. America’s Rivalries and the Making of Political Science, Ithaca/London: Cornell University Press, in PVS Politische Vierteljahresschrift 45:3, 442-3. 2003. Concepts in Practice: The case of the Blue Economy, for “Concepts in Action/at Work: On the Meaning of Concepts in International Politics”, edited by Piki Ish-Shalom, under review. Pragmatic Orders and the new Maritime Security Agenda (with Tim Edmunds), under review. International Organizations in Practice – The United Nations, Peacebuilding, and Praxiography, London/New York: Routledge New International Relations Series, in progress. Bursts! Theoretical Fashions in International Organization Studies. A Bibliometric Analysis (co-authored with Felix Bethke), draft paper presented at the 2014 Conference of the International Studies Association, Toronto, Canada, March 2014. Humboldt is dead. The research-teaching nexus in the contemporary university (co-authored with Huw Williams), unpublished draft. Communities of Practice in World Politics: Theory or Technology?, unpublished draft. Maritime Security and the Blue Economy. Understanding the Link (with Jessica Larsen), in progress. Documents! Rethinking Text Analysis, in progress. Practice, Problems, Pirates: Outline of a Theory of Problematization, in progress. Constructing Security Publics. A Reconstruction of the Problematization of Piracy, 1980-2008, in progress. Maritime Security. An Introduction, textbook project, in progress. Understanding Capacity Building: Maritime Security and the Western Indian Ocean Experience, edited volume project, with Tim Edmunds and Robert McCabe, in progress.